Kiln Walmart may be the largest company in the United States in terms of gross sales, but mounting evidence indicates that its business model is collapsing. The company seems in a near state of panic as return on investment dips and quarterly returns drag consecutively lower. In a bitter irony the very inequality ravaging the United States may be a fundamental part of the problem, since the company harvests 18% of all food stamp expenditures from low income families, and our constituency has been the slowest to recover from the Great Recession. 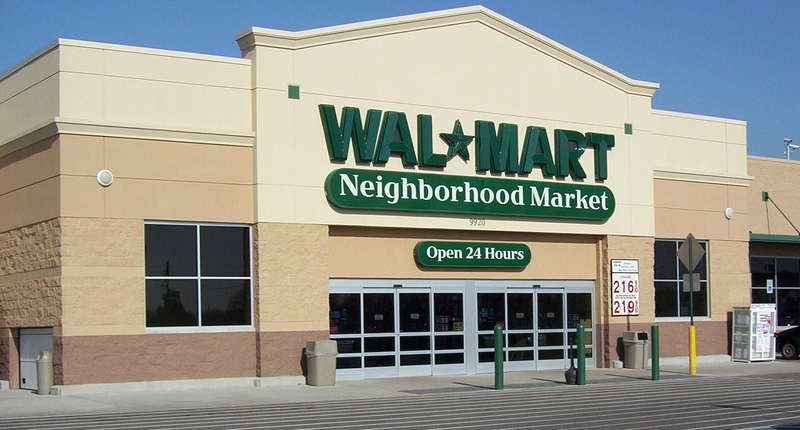 A report in the Wall Street Journal indicates the whole Walmart business model is up for grabs. The new CEO is requiring people to read a book on Amazon’s Jeff Bezos, who claimed to have built his company by watching and then targeting Walmart. They are even talking about building standalone liquor stores in some communities. This year, for the first time in its history, Wal-Mart will open more smaller grocery and convenience-type stores than supercenters. At 10,000 to 40,000 square feet, its Wal-Mart Express and Neighborhood Market concepts are a fraction of the size of a 200,000-square-foot superstore. Stores now double as pickup stations for shoppers to collect televisions, bicycles and other items purchased online. Talking to one of UFCW Canada’s national representatives, Ken Shimmin, recently on KABF/FM’s “Wade’s World,” about the impact of the Supreme Court of Canada’s recent decision affirming back pay for almost 200 workers displaced by Walmart’s antiunion closing of a store to prevent there being a collective bargaining agreement in Quebec, it was clear that the union’s phones have been ringing off the hook with workers who are fed up and want to organize. Something is happening here. Furthermore, analysts are finally beginning to notice how few clothes the emperor is wearing overseas, and looking harder at the company’s failures internationally. As even the Journal notes, “It has stumbled in country after country in its attempts to expand overseas….” As ACORN International’s India FDI Watch Campaign has consistently highlighted in our decade-long effort to force accountability on any big-box operator, whether Walmart, Tesco, Carrefour, Metro, or others trying to upend the mass employment and small scale retail operations within India, the company’s claims there will lead to the same problems of reduced employment and hollowed out retail districts that have been the company’s hallmark in North American countries from Canada to Mexico. If the Walmart business model is up for grabs, as it certainly should be, perhaps the international footprint and the way the company stomps around the world, as well as its labor relations policies and the way they stomp down their workforce, should get the same kind of attention as smaller stores, liquor, and their website. Please enjoy Crosby, Stills, Nash and Young Love the One Your With from CSNY 1974. This entry was posted in ACORN International, canada, Citizen Wealth, Financial Justice, International, Labor Organizing and tagged UFCW, WalMart by Wade. Bookmark the permalink.